Little Critter spends the weekend with his Grandma and Grandpa. 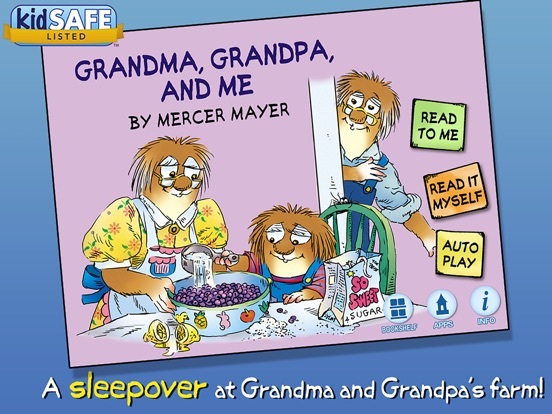 The book has two formats – a read-to-me section and a read-by-myself section. 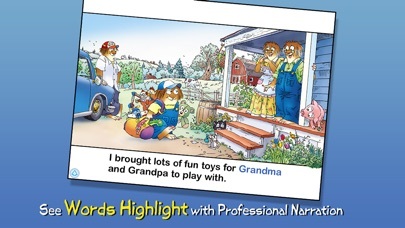 In Read-To-Me, the words are highlighted as the narrator reads the story. Read-By-Myself, however, only highlights the words when you click on the objects in the picture. Both formats are equally enjoyable and educational. If you have ever read a Little Critter book, you will immediately recognize the unique art style. Not only is it very cute, it is also very attractive to small children. In addition, the narration is clear and easy to understand. 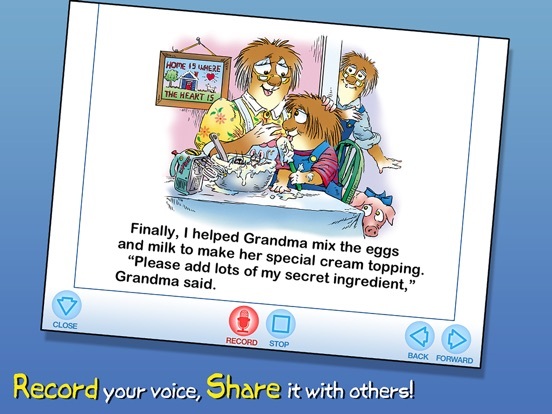 Both parents and children will enjoy the quality of this app. 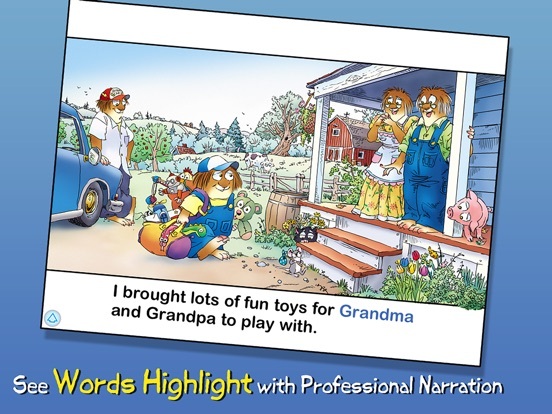 The highlighted narration during the Read-To-Me section is very helpful when learning new words. Being able to hear and see each word reinforces the vocabulary lessons that small children need. 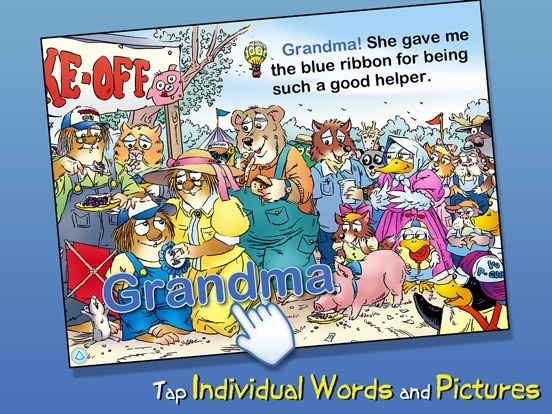 When you click on an object in the picture, it also reads and shows the accompanying word, giving your child additional words to learn that aren’t actually in the story. 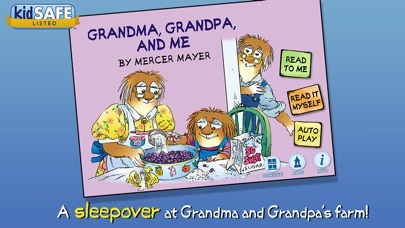 Fans of Little Critter will find a lot of entertainment in the book. There is also a mini-game, where you have to find Spider and Mouse in each picture, that keeps the app entertaining and interactive. That way, even when your child has grown bored of the story, they will still find some fun trying to find Spider and Mouse. For small children who are just learning to read, there is a ton of value in the book. 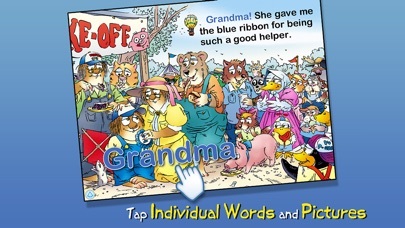 The sheer number of vocabulary words used makes the book valuable to many kids. However, once your child has mastered the art of reading, the book will no longer be of educational use to them. It is possible they will still find it entertaining and want to revisit it frequently. 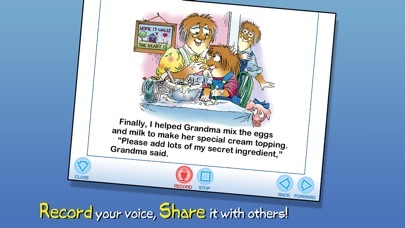 Overall, the app is pretty child-friendly. In order to access the parental section, you need to follow directions to swipe a finger in a specific way. Older children will probably be able to read and follow those directions so be sure to keep a close eye on technologically savvy kids.